Are you looking for a new appetizer? I have one for you. Boudin Dip is Louisiana inspired recipe. If you happen to have access to Boudin, I highly recommend this easy to prepare appetizer. So you may wonder what in the world is Boudin. Boudin is a popular rice based sausage that you can find in the South. This is a Louisiana treasure. For people outside of the South this may be something that could be hard to find, but if you happen to have this at the grocery store, I definitely recommend trying this. Often people eat Boudin in a variety of forms, my two favorite ways are in Boudin Balls, and this Boudin dip. 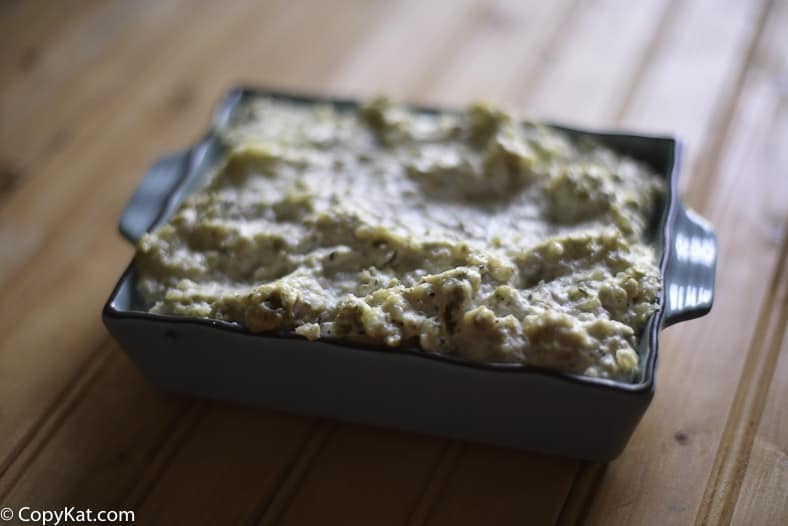 This Boudin dip is super easy to make, in fact, I bet you have the ingredients already on hand. This recipe is simply made with cream cheese, sour cream, and cheddar cheese. You are simply going to mix up the ingredients together and bake until the dip is warm and bubbly. I have served this with corn chips, pita chips, and even crackers. It will work great with no matter what you pair them with. Do you love Cajun inspired food? Be sure to check out these recipes. This Cajun classic is so easy to put together. Preheat the oven to 350 degrees. In a bowl combine cream cheese, cheddar cheese, and sour cream. Remove boudin from casing and break into the cream cheese mixture. 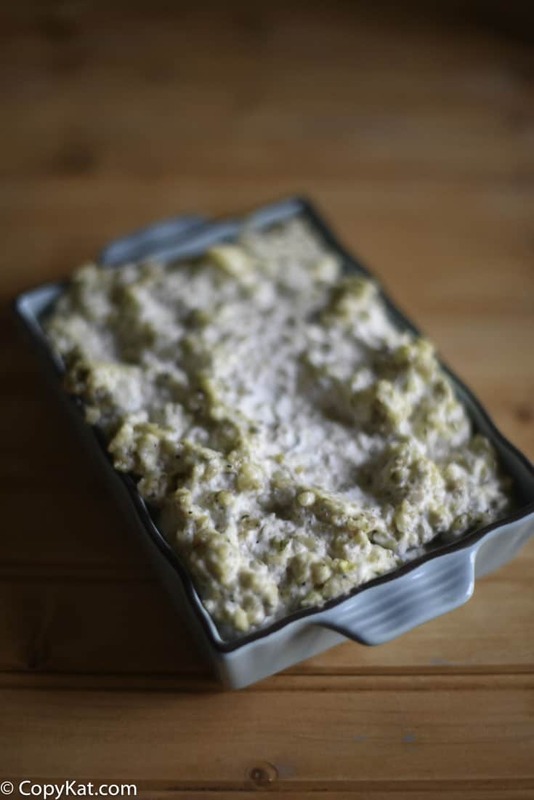 Pour boudin dip into a 1 quart baking dish. Bake for about 30 minutes. Made this for a party, and it was gone in a flash. So tasty, and so easy to make. I am sorry, I don’t know what recipe you are referring to. It sounds like you got a recipe from a restaurant, and they are speaking to their can sizes. Just reading up on my emails, and saw the recipe for Boudin, what kind of sausage is this, I live in Canada, province of Quebec, and Boudin to us is a french word. translated in english is Blood Pudding. so I don’t know if that would do for this recipe. This is a rice-based sausage. So I don’t think this is blood pudding. Using a blood pudding may work, but again boudin isn’t made with blood but scrap meat. Nooooooo! Blood pudding will NOT work! Even if you like it! I live in Louisiana and there is (or was) such a thing as “red” boudin which does have some blood mixed in it. Most people prefer the “white” boudin made with ground pork, rice, green onion, and Cajun spices. I live in Louisiana. I believe that in the old days boudin was made with a certain amount of the hogs blood that was boiled and mixed with the pork and rice. You don’t see it as much today. Now days the boudin is made with pork, pork liver, and onions boiled and ground in a meat grinder. Then mixed with cooked rice and stuffed in sausage casings. I live in N C and have a son that lives in La. Here we make liver pudding and my son has found Boudin is the closes thing that La. has compared to it. He likes to cook and we exchange receipts I’m sending this to him to try and I’m going to try it with our liver pudding, sounds yummy. I enjoy your receipts and like the cajun food but can’t take too much of the Heat in some of them. Can your give me your liver pudding recipe…My friend who lives with me use to get liver pudding in NC…we moved to GA and he can find the real liver pudding…he does not want the kind with rice and other stuff…he wants the real liver pudding.